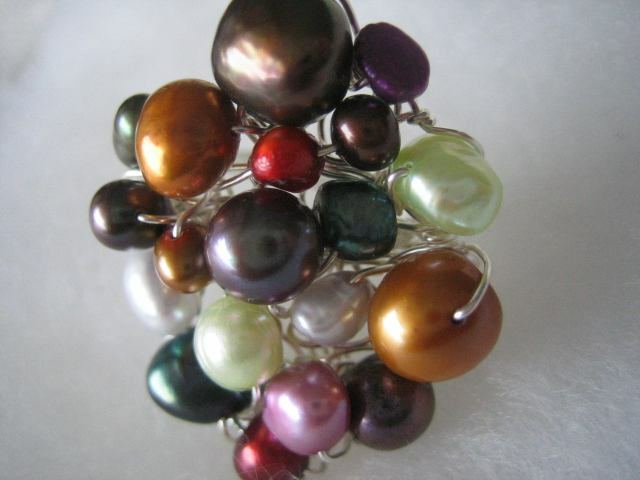 Multi color pearls knitted onto a gold or silver wire backing and hand sewn onto a wire wrapped band. All Sizes Available. 14K wire also available upon request. Please email for price.